Social Security Attorney in Michigan | Lansing Michigan Social Security Attorneys | Foster & Harmon P.C. Lansing Social Security Attorney | Foster & Harmon P.C. Our Social Security Attorneys at Foster & Harmon P.C. 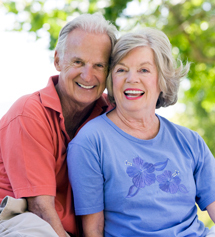 are qualified and experienced in Social Security Law throughout Michigan. Most people are denied Social Security benefits on their first application and are successful on their appeal after hiring an experienced social security attorney to represent them. Social Security Disability benefits are available under two possible programs, depending on the status of the claimant. The first of these is Social Security Disability / Retirement Survivors Disability Insurance (SSD/RSDI) which is available to individuals who have a prior work record in the United States for an extended period of time. The second type of benefit is Social Security Income (SSI) which is for individuals who have no prior work history, but who are either citizens of the United States or legal alien residents of the United States. Regardless of which of these benefits you fall under, our Social Security attorneys can help you get the benefits you deserve. The process for securing Social Security benefits is a complex one, with several places along the way where a Social Security claimant can jeopardize his or her application by taking the wrong action. After your initial denial of benefits you need to file your appeal within 60 days of receipt of the denial letter. If you do not file your appeal within the 60 day time frame you will have to start from the beginning by filing a new application and you will lose any back payments. Currently there is a two year waiting period for Social Security to hear your appeal. Therefore when looking for an attorney to represent you, you want to hire one that is experienced and has a good record in succeeding with Social Security Appeals. This is an area where our Lawyers at Foster & Harmon P.C. can help.Foster & Harmon P.C. has years of experience handling the intricacies of the Social Security Act, having handled hundreds of successful Social Security claims under both Social Security Disability / Retirement Survivors Disability Insurance (SSD/RSDI) and Social Security Income (SSI).People are usually entitled to disability benefits if they have a disability that is expected to last for more then 12 months and enables them to obtain substantial gainful employment. Social Security cases are based on a contingency fee basis, therefore you attorney does not get paid for services unless they win you case. When a case is won a attorney charges 25% of all back benefits up to $5,300.00. You will however be responsible to cover the costs of obtaining medical records to give to the Social Security Office. If you are unable to obtain the medical records or cannot afford to, our office will obtain the records for you and ask for reimbursement upon completion of the case. Given the recent issues within the Social Security Administration relating to the limited funds available for Social Security Disability benefits claimants, it is even more imperative that potential Social Security disability claimants seek to have their claims processed properly. Social Security Disability benefits are still available and are being granted daily, but the process is becoming more complex. As you get older it makes it easier for the Social Security Administration to find you disabled. If you are under the age of 50 and you can no longer perform the majority of the tasks from your previous jobs on a full time basis or have impairments that keep you from performing easy jobs, you should apply for Social Security Disability. If you are 55 years old and have been unable to perform any job within the last 15 years, you should apply. The upon listed instances do not necessary mean you will qualify for benefits but they are a good indication you may be eligible. Being unable to work and qualifying for disability benefits are two very different things and it can be very difficult to proof to the Social Security Administration that you should be eligible for benefits. 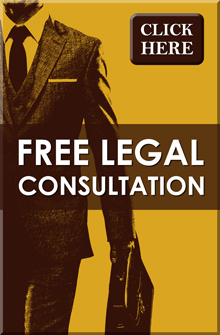 Let our experienced and dedicated staffs of court tested Social Security disability attorneys review your claim. Take advantage of Foster & Harmon’s reputation of some of the best Social Security attorneys in Michigan to help you on the way to the Social Security benefits you deserve. Contact Foster & Harmon P.C. today to talk to a Social Security Attorney!